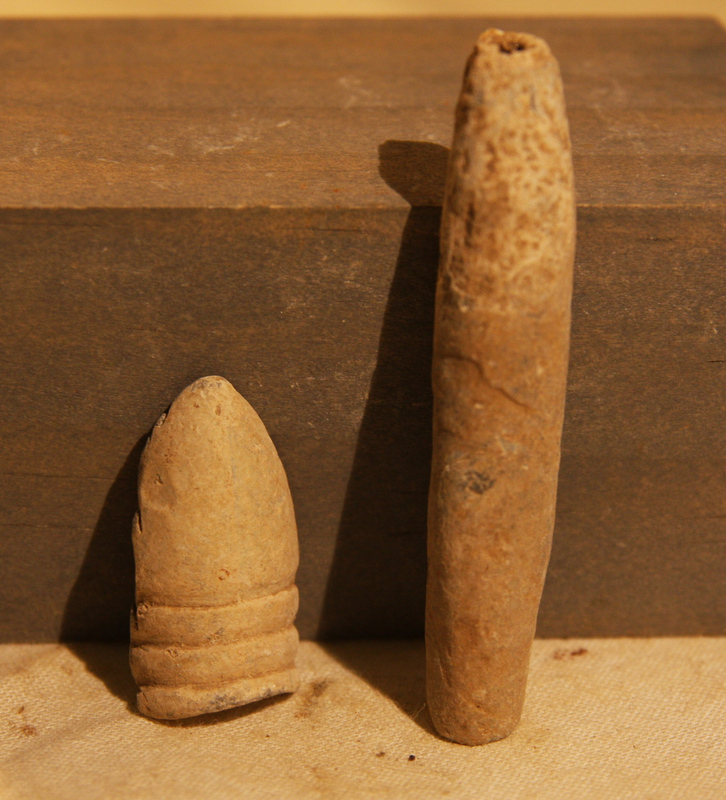 These two carved/manipulated bullets were recovered between 1975 and 1979 from Miller's Cornfield at Antietam. The longer piece is 2 1/16 inches long and almost looks like the lead has been rolled. The other is part of a bullet that has been sliced off. 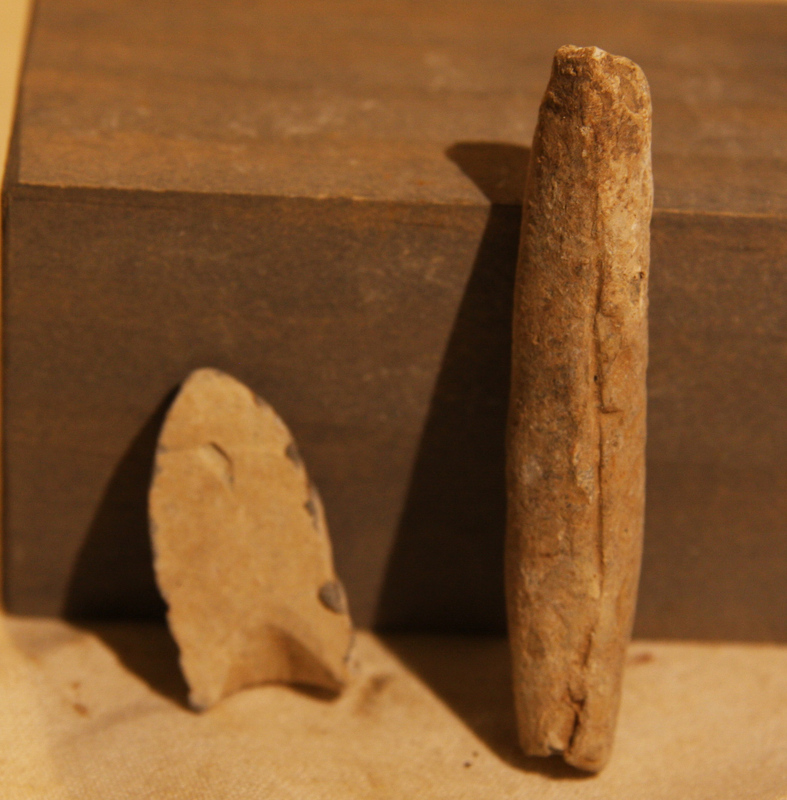 At the time that these artifacts were discovered, the field where some of the bloodiest fighting of the war occurred was still privately owned. The relic hunter told me a story about being invited into the house of the farmer who owned the property and seeing an incredible variety of artifacts that had been plowed up in the fields. A provenance letter will be included.